One of the best things about the Mario Kart series is the sheer insanity in the gameplay that's accompanied by a general, all-ages feel. It's a great combination that really works and makes for quality entertainment. 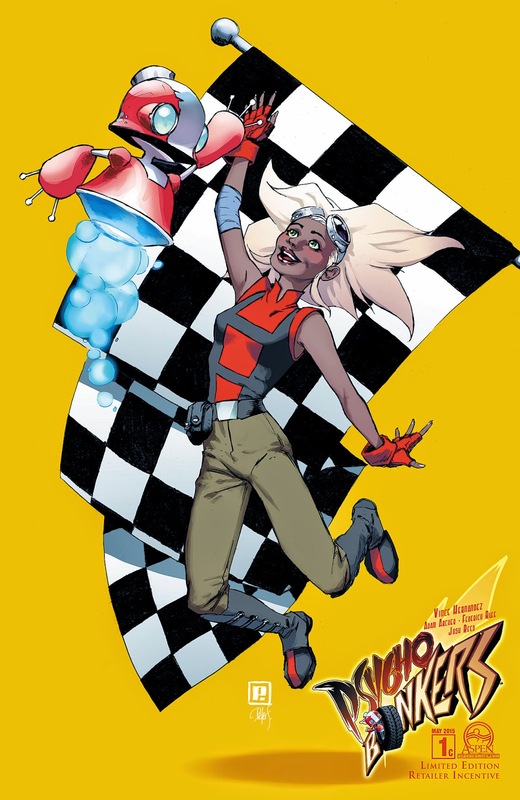 It also proves that all-age properties about racing can work, as in Aspen Comics' new series Psycho Bonkers, due in stores May 20th. The series is written by Vince Hernandez, penciled by Adam Archer and colored by Federico Blee. Psycho Bonkers will take readers through five legs within the race of all races – The Super Bonk Rally – spanning amazing landscapes and death-defying terrain. Join Shine, a young but unyielding teenage girl, as she races to find the true story behind the tragedy that wrecked her family and shattered the sport of Bonk Racing to its core. 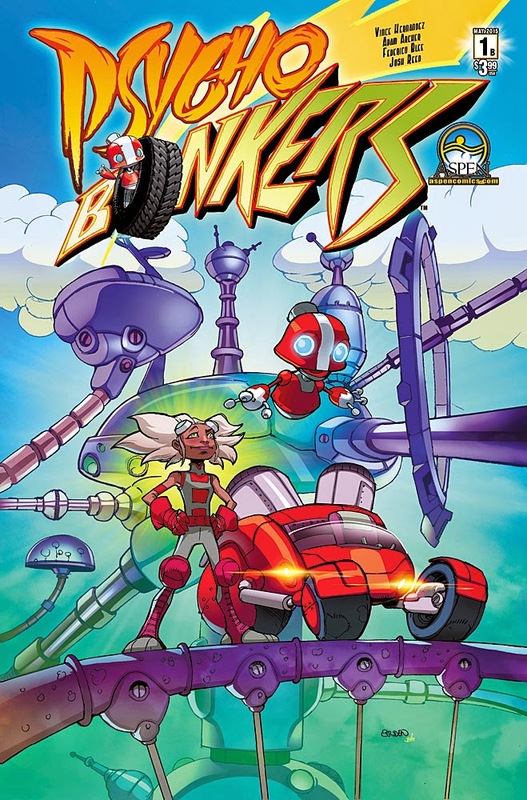 Along with her trusted technician, Gabbo, and her sentient Bonk Racer, Shiza, she will discover that learning the truth about her future is as dangerous as the tragic past she is trying to forget. The premiere issue also features variant covers from Mike Bowden, Peter Steigerwald and Ale Garza. Full press release below. 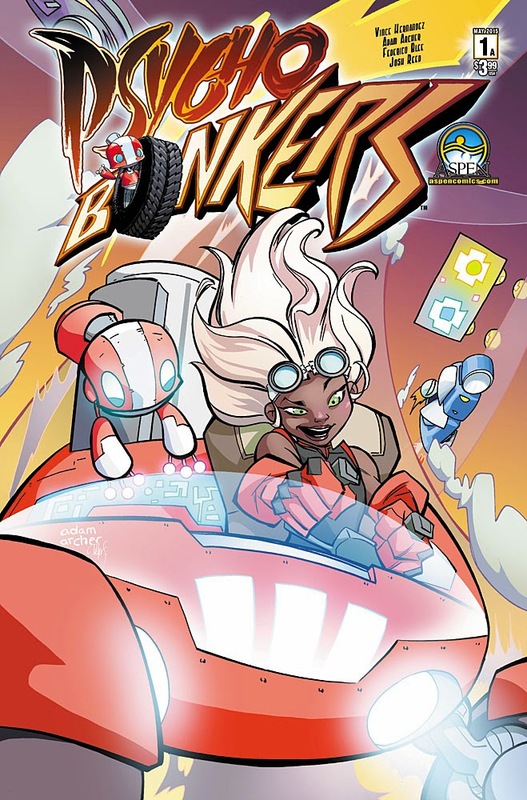 Psycho Bonkers, a new all-ages racing adventure series from Aspen Comics, will be hitting shelves May 20th, 2015. Written by Vince Hernandez (Charismagic, Fathom: Kiani), featuring pencils by Adam Archer (Marvel Universe: Guardians of the Galaxy) and colors by Federico Blee, Psycho Bonkers will take readers through five legs within the race of all races – The Super Bonk Rally – spanning amazing landscapes and death-defying terrain. 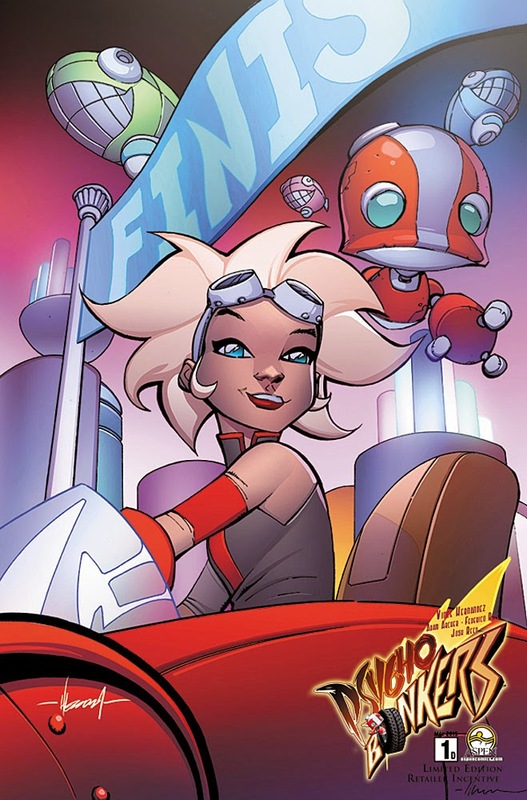 The premiere issue also features variant covers from Mike Bowden (BubbleGun), Peter Steigerwald (The ZooHunters), and Ale Garza (Fathom) – all created with the same lively, cartoon style of the series.